Haven’t we been here some time before? In the words of baseball legend Yogi Berra, it’s déjà vu all over again. The Thursday of the week before Christmas was our work Christmas party, held at a golf club in Wokingham. 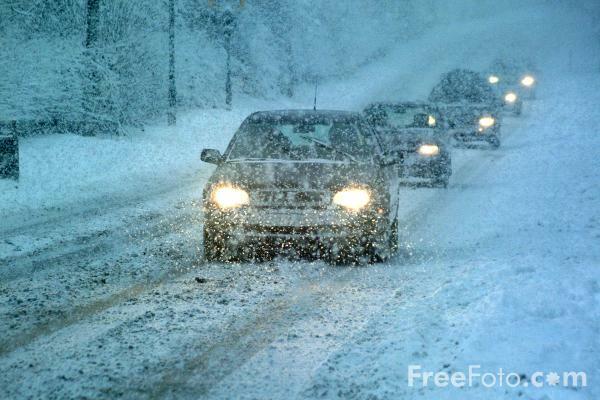 It snowed suddenly and heavily late in the evening and caused havoc with many people’s travel plans. Some people walked home in freezing conditions, others had to spend the night at colleagues’ houses. I left early – as soon as it started snowing – which meant I made it home okay, although the first kilometre getting out of the golf club on snowy roads with rear-wheel drive was a bit of an adventure. The Thursday of the week before Christmas was our work Christmas party, held at the same venue. The forecast suggested a strong possibility of heavy snowfall. In the end it snowed during the afternoon but didn’t settle, and it thankfully held off over the course of the evening. I left early – wary of the worsening conditions – which meant I got home okay, although, as last year, the first kilometre getting out of the golf club on icy roads with rear-wheel drive was a bit of an adventure. It took me three hours to crawl less than a mile until I could find somewhere safe to abandon the car, and I spent the night in a hotel. Heather, meanwhile, was 36 weeks pregnant and stranded in Henley, and Zac had to be delivered on a mission of mercy from nursery to a friend’s for the night. Let’s just say it was a fraught 18 hours or so. Is it going to be this bad again this year? The Monday before Christmas. Today. An all-day management meeting again, but this time we had a couple of inches of snow over the weekend, with a variable forecast for the day which veers randomly from no to heavy snow with every passing hour. At the very least, lots of severe weather warnings. So you’ll forgive me if I’ve wimped out and decided to work from home today. It’s all too easy to think I must do the macho thing and struggle manfully to get into the office – and risk not being able to get away again – but if I’m being honest my commute to work definitely counts as ‘non-essential’. Particularly when I can easily teleconference and use online solutions such as NetMeeting to share documents and presentations – which is what I am currently doing at the same time that I write this post. It’s not perfect, but it’s perfectly adequate. Never mind déjà vu – once vu is quite enough for me, thank you. Posted in Journal and tagged snow. Bookmark the permalink. I sympathise. My husband was stranded in London on Friday evening after BA cancelled his flight home to Nice. Yesterday evening, in the absence of any news from BA, and with no prospect of either a flight or a seat on Eurostar anytime soon, he caught a much delayed train to Dover. Then he hopped on a ferry to Calais. Once on French soil, which is under as much snow as SE England, it was all plain sailing and to timetable: train to Paris via Lille, overnight in Paris, today TGV to Antibes via Marseille. I’m glad he got back OK in the end! Horrible when that happens, and certainly puts my minor issues into context. Why is France so much better organised than us? I can understand how in the Nordics or even Germany they have more severe weather more regularly, so it is easier to prepare for such eventualities, but surely there’s not that big a difference climate-wise between the UK and, say, NW and central France? 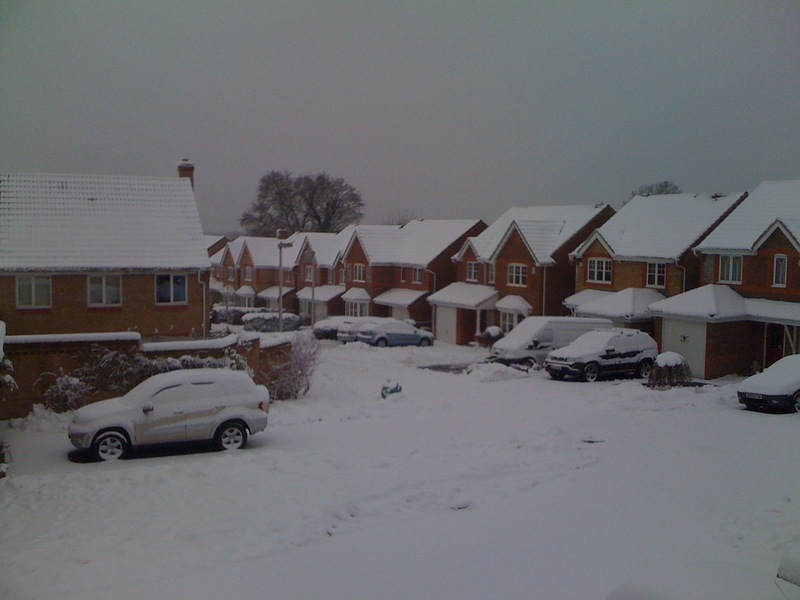 So why does as little as an inch of snow bring the south-east to a grinding halt?